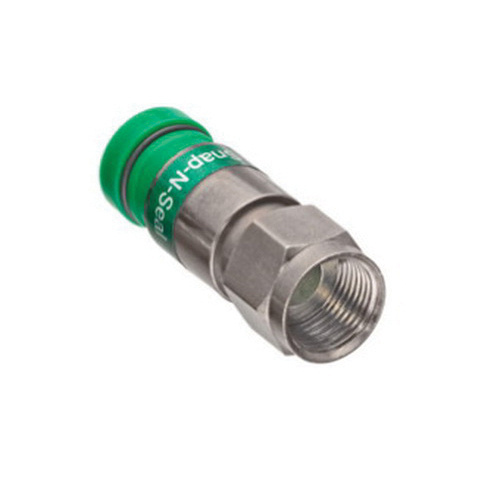 Leviton Compression connector features brass construction with nickel-plated finish for effective corrosion resistance. It has a dimension of 1.26-Inch x 0.432-Inch x 0.50-Inch. This F-type connector fits Series 6 quad shield cables through straight connection. It has temperature rating of -40 to 140 F. The plastic guide pin ensures the proper placement of cable. It supports push on installation. The connector is perfect for video applications such as CatV and satellite.